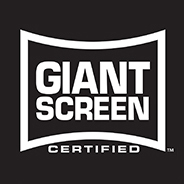 You Haven’t Experienced Yellowstone Until You’ve Been to the Yellowstone Giant Screen Theatre! Located at the west entrance of the Yellowstone National Park, the Yellowstone Giant Screen Theatre is a “must see” on your travel itinerary. 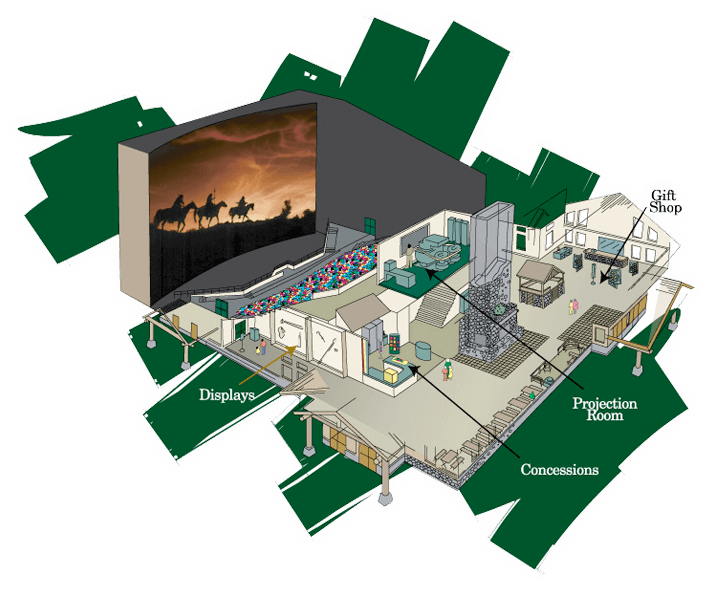 Far more than just a theatre, the Yellowstone Giant Screen Theatre offers a rare educational opportunity. Through the stunning film “Yellowstone” as well as displays located in the lobby, visitors can see the true Yellowstone as it is today and as it was a hundred and 100,000 years ago. Learn about Yellowstone’s fascinating history and geological wonders at the Yellowstone Giant Screen Theatre. In addition to most of the theater’s movies and soundtracks on DVD and CD, we offer many unique gifts and keepsakes from T-shirts to fine art sculptures and Huckleberry Gourmet Treats. 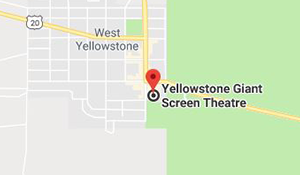 After viewing the feature, Yellowstone, be sure to view the actual movie props in our lobby as well as our educational display: The Yellowstone Hot Spot. Visitors marvel at Yellowstone’s scenic beauty but there is much more than meets the eye! We offer Coke, Nescafe and Peace Tea beverages as well as a variety of tempting snacks such as cinnamon roasted almonds and pecans, ice cream, and more! Select showtimes with the asterisk (*) next to them to reserve the best seats in the house. Premium seats are large, high-back leather chairs arranged to give you the giant screen's best vantage point. Your premium seat also comes with a free small popcorn! Tour Groups & Schools please email or call for pricing. 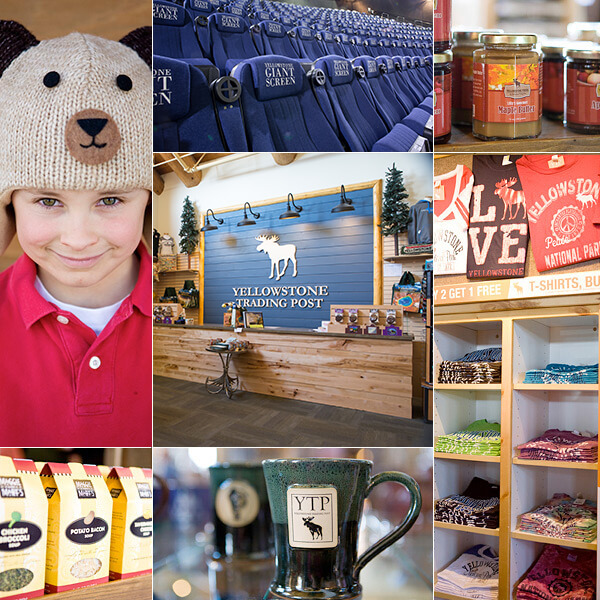 The Yellowstone Trading post is open from 2:30 PM to 8:00 PM every day. Feel free to arrive early and have a look around before your movie begins.